ACHICA cashback can be earned simply by clicking through to the merchant and shopping as normal. ACHICA Cashback is available through TopCashback on genuine, tracked transactions completed immediately and wholly online. Browse an extensive range of luxury designer lifestyle products at up to 70% off RRP and save even more thanks to our ACHICA discount code and cashback deals. Whether you are looking for furniture, homeware, kitchen & dining essentials, garden products, fashion accessories or baby & child items, the free members-only shopping club offers great savings on leading brands. New ACHICA promotions are listed each day and you will need to act fast as quantities are limited, while as a member, you can choose whether you receive daily or weekly emails regarding new sales. Shop by department or search by item, brand or colour, while you are sure to find superb discounts in the outlet section. Refer a friend, meanwhile, and you can both earn yourself a £10 voucher. If you are looking for that dream holiday, ACHICA Travel can get you to amazing destinations for less. 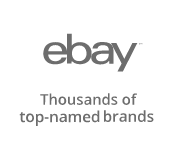 ACHICA allows you to save on a host of leading brands in a variety of categories. Shop for key pieces for every room in the house, including Bella Mobilia chairs for the living room and Sealy mattresses, as well as kitchen electronics like Russell Hobbs blenders and health fryers, Jamie Oliver dinner sets and Cake Boss baking essentials. Get your hands on The Lyndon Company bed linen or Hotel Living towels, while when it comes to home furnishings, you will discover rugs, cushions, mirrors and more. Buy art to add a touch of beauty to any room, while if you want to relax outside during the summer season, ACHICA offer great deals on Royalcraft tables and chairs, Gardener's Mate gardening equipment and outdoor lighting. Make savings on clothing and toys for the kids by brands like La Faute a Voltaire, while if you are looking for accessories for yourself, you can purchase Gucci handbags, Otis Jaxon jewellery, Swarovski Elements watches and Mister Coben shoes. Whatever you are looking for, new promotions begin at 6.30am every day. You can view them on the home page or click on the various categories to see deals which are coming up or have just ended. ACHICA promotions usually last either 24, 48 or 72 hours as quantities are limited, though some sales may be extended. When you become a member, you will be sent a newsletter by email which will tell you about existing and new promotions, while whether you are shopping for a watch, bedroom furniture or a gift for someone else, they will reserve any items placed in your cart for 25 minutes before making them available to other members. Having an ACHICA membership means that you will be given first access to exclusive promotions, as well as competitions throughout the year, while you will also be sent tips and advice regarding the latest home style ideas. Delivery costs are determined by the weight of the parcel and its destination. Prices are higher for deliveries to the Highlands & Islands and Northern Ireland, in comparison to mainland UK orders, while they do not deliver to the Isle of Man or the Channel Islands. 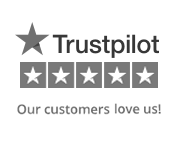 When you make a purchase, you will be given an estimated delivery date, although they aim to deliver most items to UK mainland addresses within 15-20 days of the close of the promotion. Larger items may take longer, but you should typically receive them in 20-25 working days. Where possible, all the items in your order will be delivered at the same time, though they will sometimes split delivery as products purchased from different promotions could arrive at their warehouse on different days. If you wish to cancel an order before it has been dispatched, you should contact their customer care team, who will give you a full refund for the item and delivery charge. If you decide you want to return an item after receiving it, you can do so for a full refund as long as you send it back within 28 working days of delivery (exclusions apply). If you send back the entire order, they will refund the original delivery charge, though you will have to cover the cost of returning it. Items must be returned in a resaleable condition, in their original packaging and with all parts and instructions included, while they must not have been used or assembled in any way. You will also need to include the returns slip from your delivery note. To return an item, fill in the returns reasons form on your delivery note and include it in the parcel, while you should also obtain proof of postage from the Post Office. If you receive a faulty or damaged item, contact the customer care team within 48 hours and they will arrange collection and issue you with a replacement, where possible. This also applies if you have been sent the wrong item. 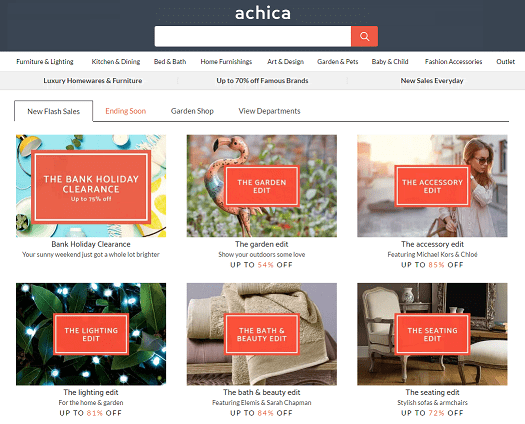 ACHICA is an online luxury home, garden and lifestyle store, offering up to 70% off leading brands all year round. Our buying teams circle the globe, working with premium labels, niche boutiques and emerging designers to bring you a wide choice of inspirational furniture, homewares and accessories at exceptional prices. New promotions launch daily at 6.30am, each lasting three to seven days only, so the choice is wide and demand is high, but you can sign up for free to our mailing list to receive a daily or weekly email giving you first access to our exclusive promotions.